Premium sport and tie cord. Hundreds of uses for this small, but strong lightweight braided rope. A excellent choice for: Tying, Crafts, Lanyards, Chimes, Whistles, Kites, Decoys, Trap Line, Handle Wrap, Jewelry. Paracord is known by many names some of the more popular and well known are 550 cord, parachute cord, and utility cord. 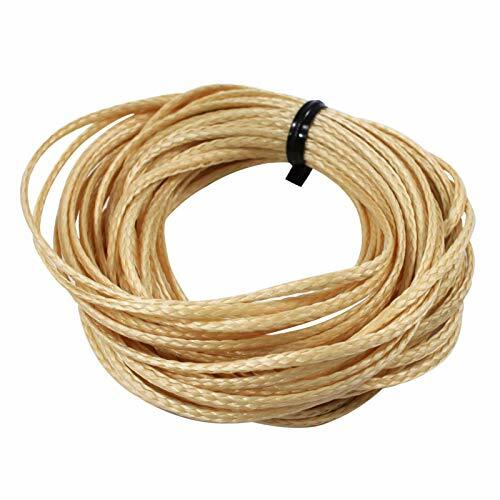 550 cord can be used for many projects such as making fashion bracelets or survival bracelets, dog collars and leashes, lanyards, repairing ripped or torn items, general crafting purposes and that next camping trip your planing with the family. Our 550 cord Type III Mil-Spec and is made in the USA by a government contractor. Made from 100% Nylon 5/32" Diameter. Quick Drying and will not rot or mildew, easy to clean. Choose from many sizes: 10 feet 25 feet 50 feet 100 feet or 250 feet. 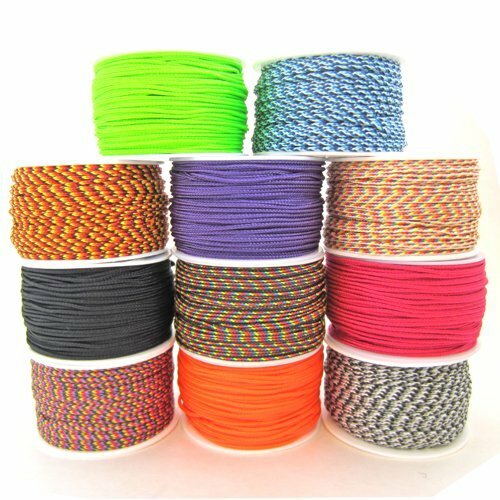 Also known as: parachute cord, 550 cord, parachute rope, paracord rope, para cord, utility cord, or paracord. 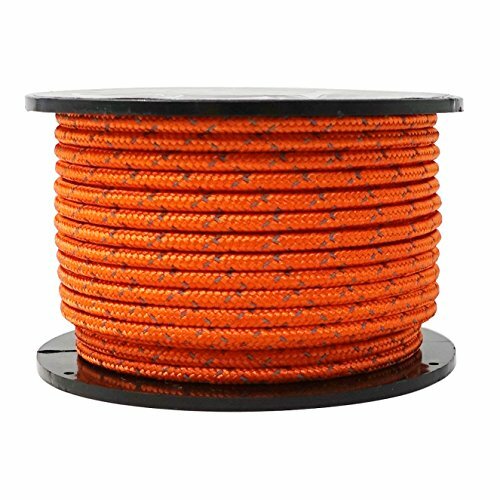 GM CLIMBING Orange reflective utility cord: 3/32in / 2.5mm diameter, 50ft / 15.5m pre-cut length, 300lb breaking strength, double crossed Hi-vis reflective tracers. Double reflective strands march along the cord and intercross on the surface, which produces a string of tiny bulbs when shine a light in the dark. This much enhance reflective effective, augment High Visibility in the dark. EXCELLENT KNOTABILITY! Quick and easy to tie or untie knots due to its minimum stretch and professional neat braid. ADAPT TO MULTIFARIOUS TOUGH ENVIRONMENT! Tough equipment which has ability to resist is what you need. With low moisture absorbency, fast drying, excellent resistance to UV, abrasion, most general chemicals, this cord is an authentic help for you. 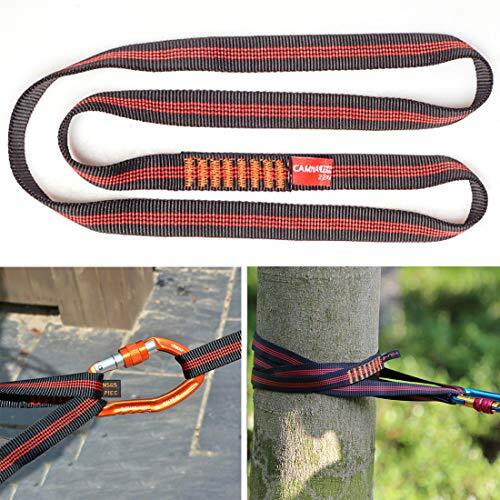 A must have Climbing Utility Cord, Tree Climbing Gear. Best idear for making Bachmann knot or a Prusik knot for tree works or rock climbing. Supple in handling, flexible and easy to tie knots. It takes you within 1 minute to make a prusik knot. Warranty: Our prusik loop warranty for 1 year from date of purchase. HOW THIS Prusik CORD WORK? Prusik knot can be use for ascending, self-belay while rappelling, connecting harness to rope for backup safety and self rescue and creating personal anchor. Also you can use this to hold your rope under weight as a life lines on your hunting tree stands and so on. APPLICATIONS A must have Climbing Utility Cord, you could find it a super versatile gear in you rack whether you go for rock climbing, tree climbing, tree work, rappelling, mountaineering, window cleaning, caving, or rescue / hauling system set-up, etc. 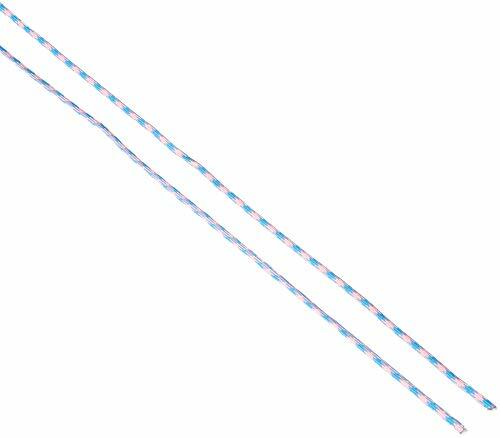 HEAVY DUTY MATERIAL The length of this prusik cord is 40 inch, and the diameter is 10mm( 2/5). Our prusik cord loop is made of high quality Polyamides, ultra-strong and ultra-light, breaking strength at 23kN(approximately 4850lb). What's more, our prusik cord Increass the wear proof protective sleeve on the main lock to improve the service life of the product. EASY TO TIE KNOTS Supple in handling, flexible and easy to tie knots. It takes you within 1 minute to make a prusik knot or create personal anchor. COMPARED TO TRADITIONAL PRUSIK CORD With heat shrink tube over solidly sewn stitching part, the prusik loop is safer and better than prusik cord with knots. Our Prusik cord is much lighter and more compact, taking little space in your rack. It also does almost no damage to host rope and could work in both directions during application. Simply strap this to the tree, and attach it to you safety harness, when you get on stand on the tree, you will feel unmatched safety in the field. You can attach it to the tree to create anchor systems, than attach the anchor systems to your safety harness, which will be a fall protection. Creating equalized anchor system, slinging around natural protection like trees or threading through stones to create instant anchor. PERFECT FOR TREE WORK You can attach it to the tree to create a anchor systems, than attach the anchor systems to your safety harness, which will be a fall protection. CREAT ANCHOR SYSTEMS Creating equalized anchor system, slinging around natural protection like trees or threading through stones to create instant anchor. MAKE SIMPLE SAFETY HARNESS Round you body with this nylon sling like the picture to make a simple safety harness for climbing. Very simple and practical. POLYESTER MATERIAL This product is designed with high strength polyester material. It has the characteristics of high strength, wear resistance and light weight. the breaking strength is up to 23kN(4850lbs). The Zipfy leash is a well-constructed nylon and rubber elastic strap that attaches to the Zipfy Classic handle via industrial velcro on one end and via a thick elastic cord and clip on the rider's ankle or wrist on the other end. The leash is great for riders to keep hold of their sled as they climb the hills. The Zipfy leash also acts as a safety cord to avoid runaway sleds. In instances where a ski resort allows Zipfy on the slopes (typically in a designated area or for a special competitive event) the resort operator will require Zipfy riders to have a leash to allow them to go on chair lifts. Designed for Zipfy Classic, but also works with Zipfy Junior. A LEASH FOR ZIPFY SLEDS. Designed for Zipfy Classic, but also works with Zipfy Junior. Easily keep hold of your sled while going back up the hill. DURABILITY FOR ALL AGES. 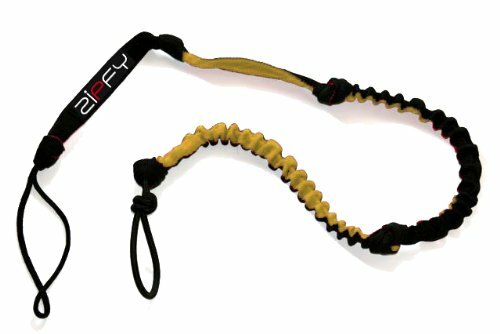 The Zipfy leash is a well-constructed nylon and rubber elastic strap that attaches to the Zipfy Classic handle via industrial velcro on one end and via a thick elastic cord and clip on the rider's ankle or wrist on the other end. SAFETY ON THE SLOPES. The Zipfy leash can act as a safety cord to prevent runaway sleds. It can also be used as a training strap for less experienced riders. LEASH YOUR SLED FOR SKI RESORTS. If you are going to a ski resort that allows sled access, take along a Zipfy leash so you will be allowed to go on chair lifts, and keep your sled within reach for any sledding opportunity. KEEP THE FUN GOING. This leash is designed for riders to keep hold of their sled as they climb the hills or prevents the sled from being lost. Use a Zipfy leash on a Zipfy Classic or Zipfy Junior for non-stop sledding fun. Uses: Suitable for mountaineering, rock climbing, rescue, camping, mountaineering, cave exploration, lifting, fall protection and aerial work. Note: Using this device is inherently dangerous and you must check that the product is complete before use. * Outdoor static rope, suitable for Climbing, outdoor development, tree climbing, crossing, fire rescue, aerial work, engineering protection, caverning, etc., which are essential to reduce the risk of dangerous accidents. 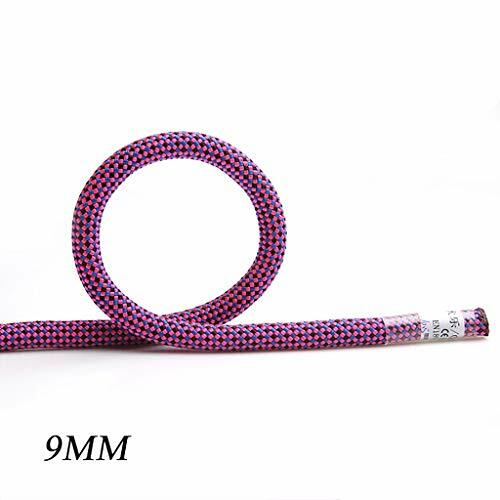 *rope diameter: 9mm (0.35in)/10mm (0.39in), length 32.8FT, 65.6FT, 98.2FT, 131.2FT, 164FT, 196.8FT, 229.7FT, 262.5FT, 295.3FT, 328.1FT, 492.1FT, 656.2 FT, purple. * High-quality DuPont wire, durable, corrosion-resistant, special process increases the elasticity of the rope, and can play a good buffer protection. 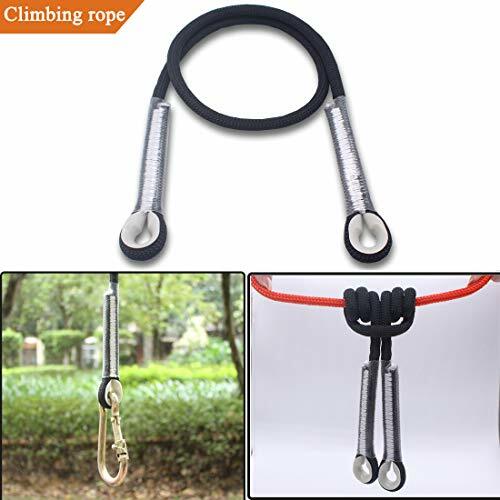 *The rope carrying capacity is strong, 9mm pull force 21KN, 10mm pull force 24KN, CE certification is safe and reliable, enough to safely carry out reasonable outdoor activities. *It can be rolled up in a small part, easy to keep clean and tidy, very compact to carry, soft and easy to knot, pay attention to this product can make sewing buckle, please note if you don't need it. 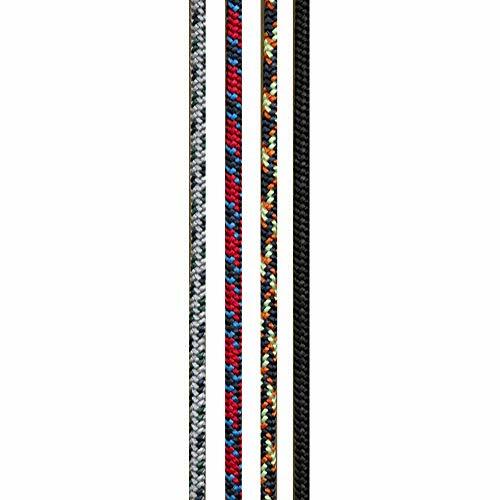 The 400Lbs Braided Technora Survival Cord by ASR Outdoor is an essential item to bring with you on any outdoor trip! This Braided Technora 400Lbs has a .Polytetrafluoroethylene (PTFE) coating. This coating protects the Technora from UV damage, increases flexibility, has better knot strength, and chemical resistance. The cord is dyed black in the manufacturing process by adding a black pigment to the polymer melt in spinning process.This results in fibers that are fully impregnated with pigment coming out of the spinnerets in a one step process. This process results in outstanding colorfastness and enhances UV protection. This cord is made of Technora, which is an abrasion-resistant, low stretch, high strength material, combined with the PTFE coating, increases the durability and longevity of the cord. Technora Survival Cord by ASR Outdoor is a must-have for your survival kit!